Japanese gardens also capture aspects of the traditional Shinto religion, as well as Daoism and Buddhism. The gardens speak of the unstoppable march of time, natural aspects of the Japanese landscape, such as its volcanic peaks, and often include replicas of the legendary Mount Horai. We’ve selected some of the best gardens in Japan, and included details on how to get there using your Japan Rail Pass. Why not make a garden or two part of your next Japanese vacation? 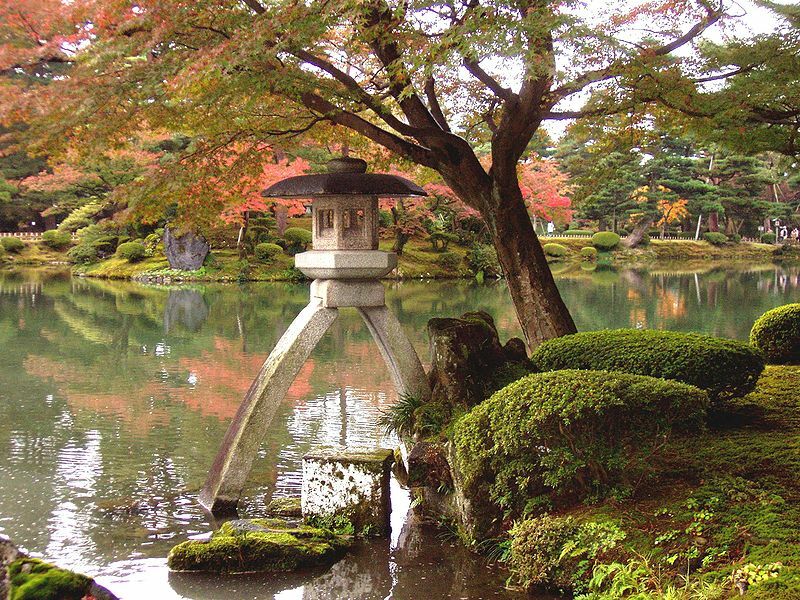 Also known as the “garden which combines six characteristics,” Kenroku-en is located in Kanazawa. 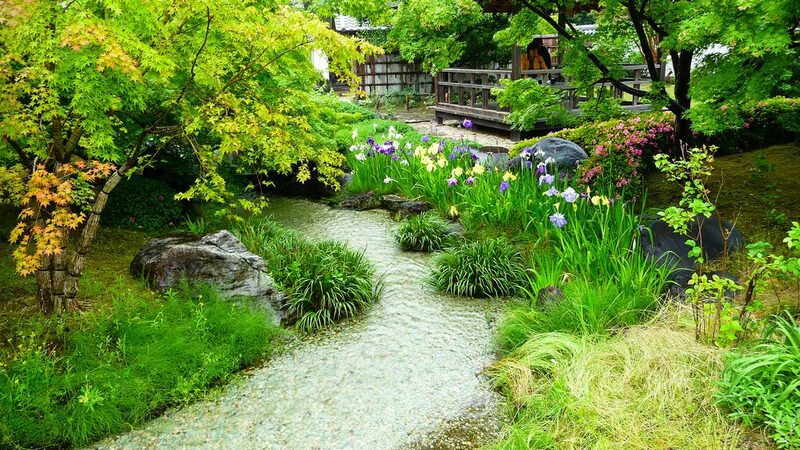 Six aspects are considered vital to an ideal Japanese garden; these include coolness, subtlety of design, scenic views, wisdom and respect, serenity, and spaciousness. This garden features ponds and natural landscape features such as hills and streams, and structures such as pavilions and tea houses. 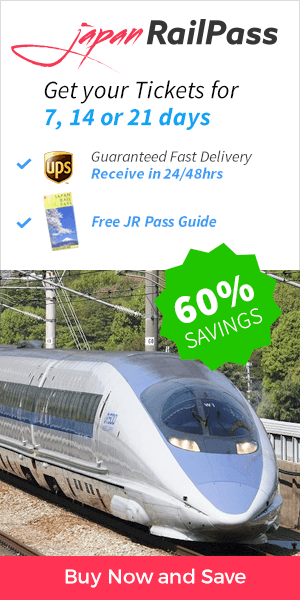 How to Get There: Use your JR Pass to travel to Kanazawa Station. One to three JR buses per hour depart from the station. Exit the bus at stop number 4. Kenrokuen Garden in Kanazawa. Photo by @Daderot (Wikimedia). Called, the “garden of pleasure after,” Koraku-en is located in Okayama. This garden’s name is derived from a proverb of Confucius, in which he explained that a ruler should consider the needs of his subjects first, and his own “pleasure after.” Construction began in 1687, and the garden was opened to the public in 1884. The Okayama Castle can be viewed from this garden. How to Get There: Use your JR Pass to travel by train to Okayama Station. From the station, you may take a 30-minute walk to the garden or take a bus to the Korakuen-mae bus stop near the garden’s primary gate. Korakuen Garden in Okayama. Photo by @stephen-oung (Flickr). Located in Mito (Ibaraki prefecture), Kairaku-en can be translated “a garden to enjoy with people.” Once a private garden, its opening to the general public helped sparked a movement towards public parks. It is famous for over three thousand plum trees that bloom in early spring. How to Get There: From Shinagawa or Ueno Station in Tokyo, take a limited express train on the JR Joban Line to Mito Station. The garden is a 30-minute walk from the station or 15 minutes by bus. During the plum blossom season, stops are also made at the Kairakuen Station, very close to the garden. The Katsura Imperial Villa is a strolling garden built for the enjoyment of high ranking officials during the Edo Period. If you would like to tour this garden, be sure to make reservations in advance. How to Get There: Take the Hankyu Kyoto Line to Katsura Station. From the station, the garden can be reached by a 15-minute walk. The Kokedera, or Moss Temple, is so named because it is home to 120 different kinds of moss. It is considered a UNESCO World Heritage Site. The garden was originally part of a royal villa before it became a temple nearly 1,000 years ago. Reservations must be made in advance via postal mail, and visitors are required to participate in Buddhist chanting and scripture copying before viewing the gardens. How to Get There: From Kyoto Station, take the Karasuma Line to Shijo Station; the Hankyu Kyoto Line to Katsura Station; and the Hankyu Arashiyama Line to Matsuo Taisha Station. The garden is a 20-minute walk from the station. The Ryoan-ji Temple is home to the most famous rock garden in Japan. It became a Zen temple in 1450, but the designer and exact meaning of the garden are unknown. Ideas on its meaning range from islands, to a tiger carrying cubs across the water, to the abstract concept of infinity. How to Get There: Use your JR Pass to travel to Kyoto Station. Take a 30-minute ride on a JR bus to the temple. 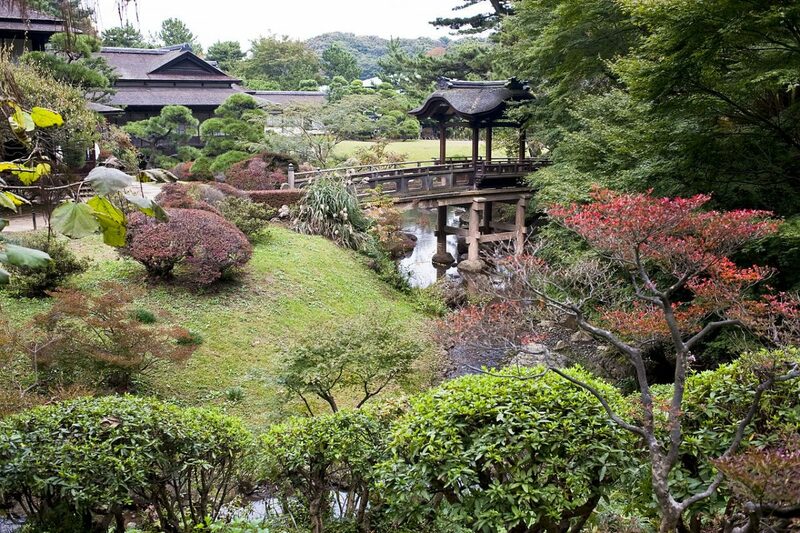 A few hours from Kyoto, you can view the gardens surrounding the Adachi Museum of Art. This garden has won the Journal of Japanese Gardening’s award for best garden every year since 2003. How to Get There: From Kyoto, take the JR Tokaido/Sanyo Shinkansen to Okayama. Then, transfer to the JR Yakumo Limited Express to Matsue. Take a JR rapid train from Matsue Station to Yasugi Station. A free shuttle bus to the museum runs once per hour. Great for viewing cherry blossoms in spring, the Shinjuku Gyoen is one of Tokyo’s best gardens. It has spacious lawns for picnicking and family outings, a traditional landscape garden, and, uniquely, a French style garden. How to Get There: Use your JR Pass to travel to Shinjuku Station. The park is a 10-minute walk to the east of the station. The Imperial Palace East Gardens formerly housed an Edo Period castle, the foundations of which are still visible. The park includes huge castle moats and a landscape garden. How to Get There: Use your JR Pass to travel to Shinjuku Station. The palace and gardens are a 15-minute walk to the west of the station. Finally, in the Kagawa Prefecture, very near Okayama, Ritsurin Koen in Takamatsu is one of the most beautiful strolling gardens in southern Japan. Ponds, teahouses, and walking paths can be found in this recreational garden of the old local lords. How to Get There: Use your JR Pass to reach Tokyo Station, on the Yamanote line. The gardens are a 10-minute walk from the station. By employing the information on Japanese gardens presented in this handy guide, you are sure to enjoy the beauty of nature on your next Japanese vacation. Shukkei-en Garden in Hiroshima is also a very special place.